Chicagoans have a new park to enjoy on the city's North Side after Mayor Rahm Emanuel Sunday helped to cut the ribbon on the 20.6-acre West Ridge Natural Area. 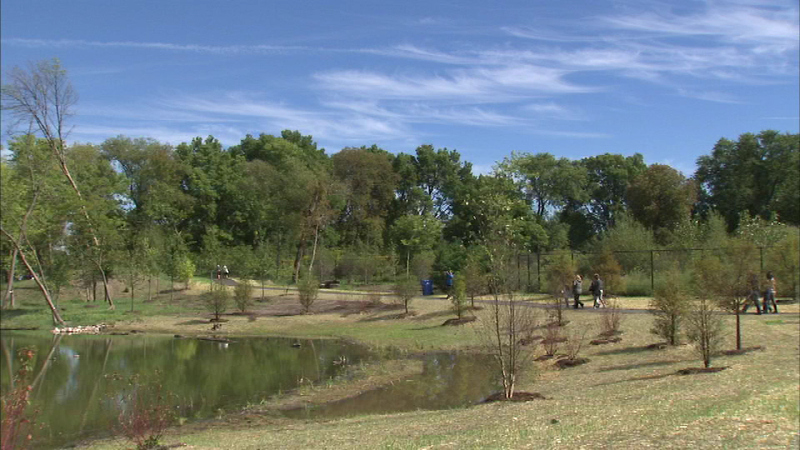 CHICAGO (WLS) -- Chicagoans have a new park to enjoy on the city's North Side after Mayor Rahm Emanuel Sunday helped to cut the ribbon on the 20.6-acre West Ridge Natural Area. The wooded park and nature trail were carved out of an unused section of Rosehill Cemetery. A federal grant helped to pay for the restoration project.